Retractable Double-Ended Complexion Brush is the ultimate tool for on-the-go application of your favorite complexion products. 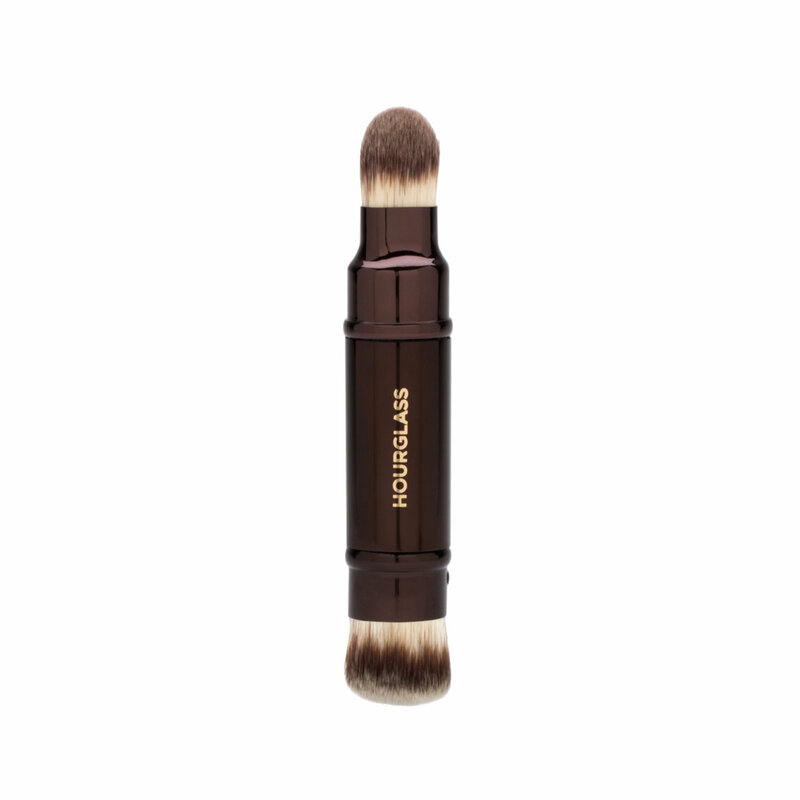 The dense, tapered end fits the curves of your face and applies all types of foundation with a smooth, streak-free finish. The full, fluffy end offers even pigment pickup and laydown, ensuring that blush, bronzer, and contour products look perfectly natural as you build up coverage. Clean brush occasionally with mild soap and water. Lay flat to dry.